Cats come across as mysterious and elegant. And fun too. There are so many books devoted to them, even right here at Saffron Tree - Calabash Cat, Penrose, Cheshire Cheese Cat, A kitten called Moonlight and so on...this CROCUS we bring you the era of cats, much celebrated in Ancient Egypt. Why were cats and pharaohs accorded the same level of respect in Egypt? To put it clearly, why were both mummified? Animal Totems are intriguing in themselves but why indeed were cats so revered? 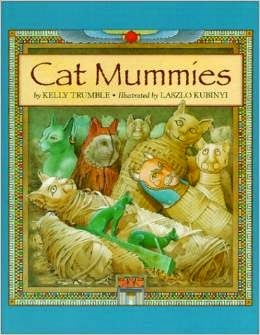 Kelly Trumble takes us on a fascinating journey into old Egypt and introduces us legends and lore around cat 'worship'. Ra, the Sun god, was said to have taken the form of a cat to fight the Serpent of darkness, Apep. A Roman was killed by an angry mob, for killing a cat accidentally. Cat amulets invoking the Goddess Bastet were worn by young ladies as lucky charms. A cat’s demise in a household was marked by the grieving family by shaving off their eyebrows. Mummification was in preparation of a second chance at life and Bubastis is said to be the centre of cat worship. Around 500 BC, the Persians used this to their advantage when they released cats on the battlefield, leading to confusion among the Egyptians who did not wish to harm their feline deities. The discovery of the cat mummies by a farmer in the 19th century only led to their being largely scavenged upon or even sold as fertilizer to Liverpool!! It is a pity that the subsequent conquerors and visitors to Egypt plundered and treated the treasures with disdain. It is only now that there is respect and awe towards these things from the past. Efforts are being made to conserve and cherish these friends from the past. 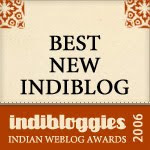 The author has made a non fiction book as lucid as possible to young readers. Her voice is objective- customs are just stated and no judgement is passed. She has also provided a great deal of data in the notes, appendix and bibliography for the more curious, older reader. Laszlo Kubinyi's watercolor paintings are soft in colour, detailed and ancient looking, befitting the book and serving well to explain the text. They also engaged the very young 'reader' in my family, who may feel a bit bogged down by details and facts.